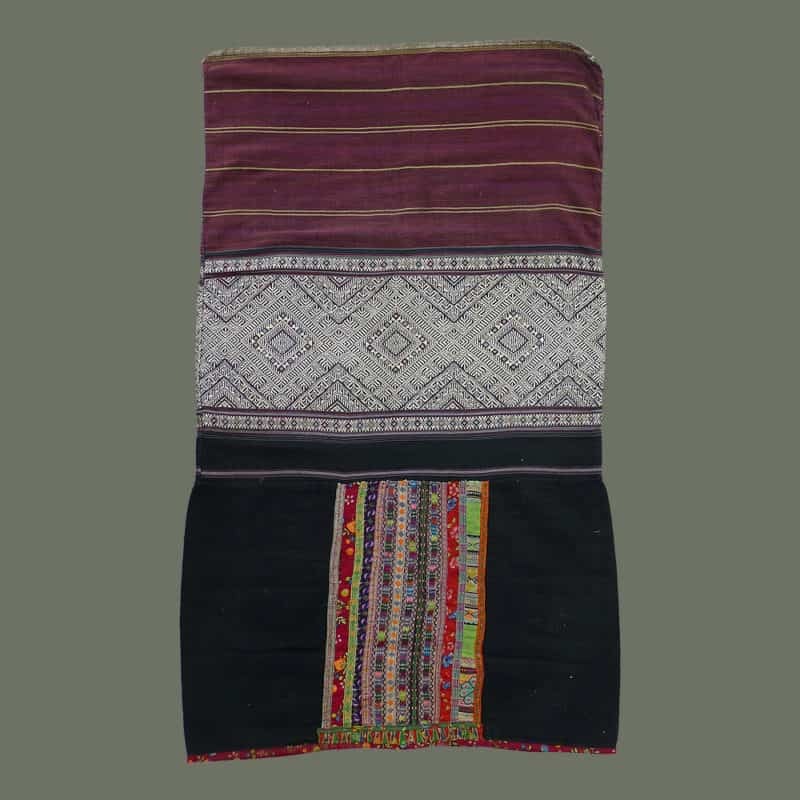 This skirt features an unusual design finely woven in white cotton supplementary weft, with added accents of soft purple, blue and red. 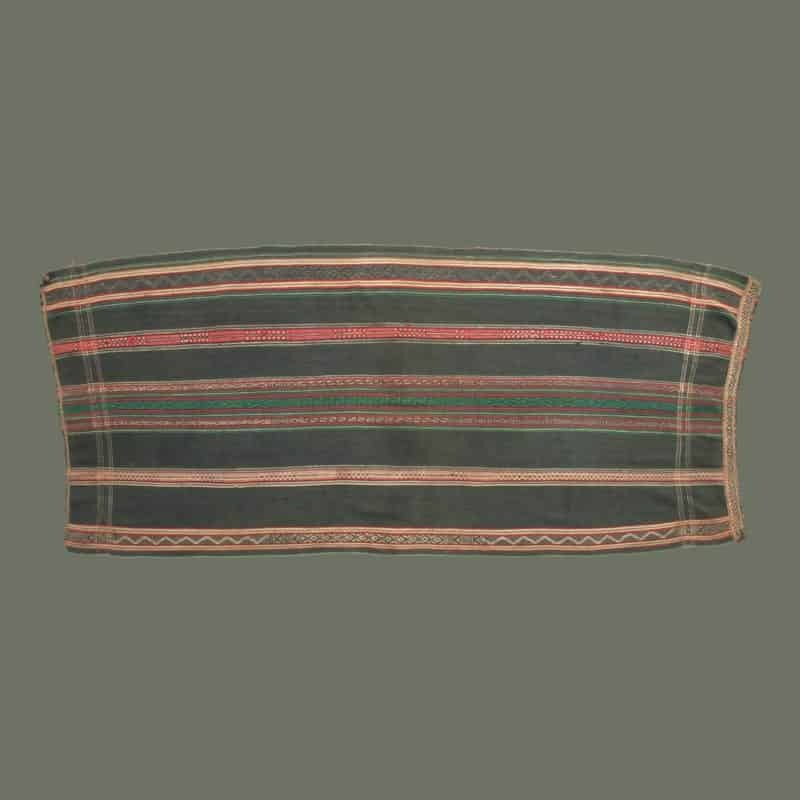 Metallic threads enrich the striped cotton used to flank this decorative band. 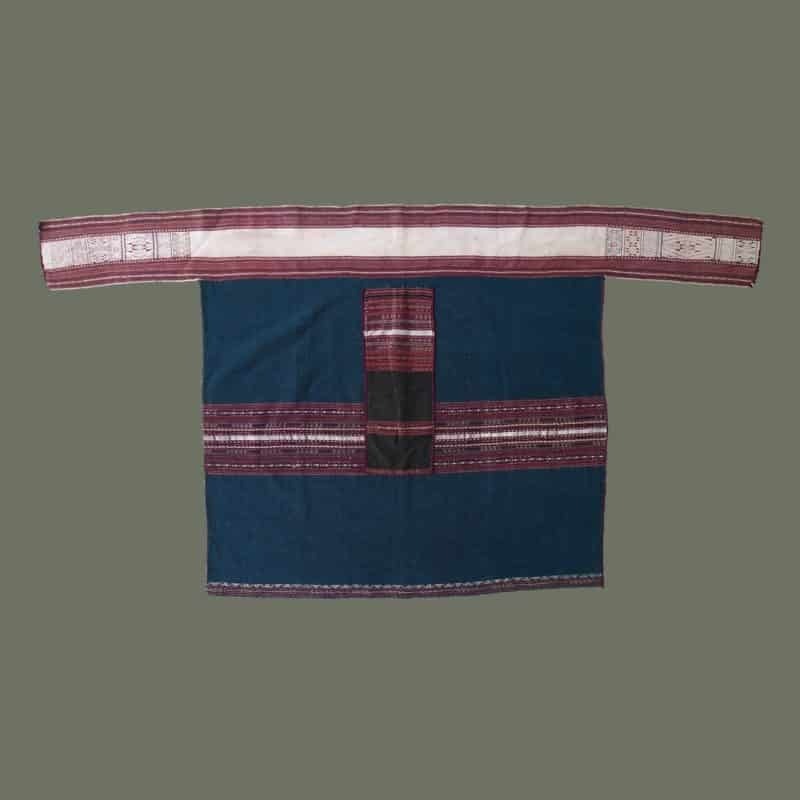 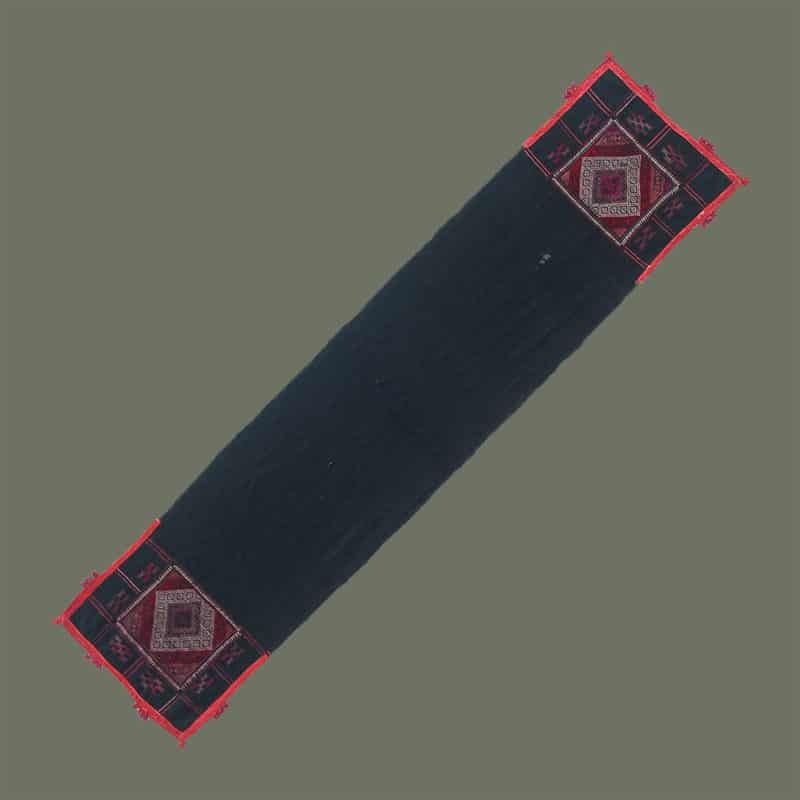 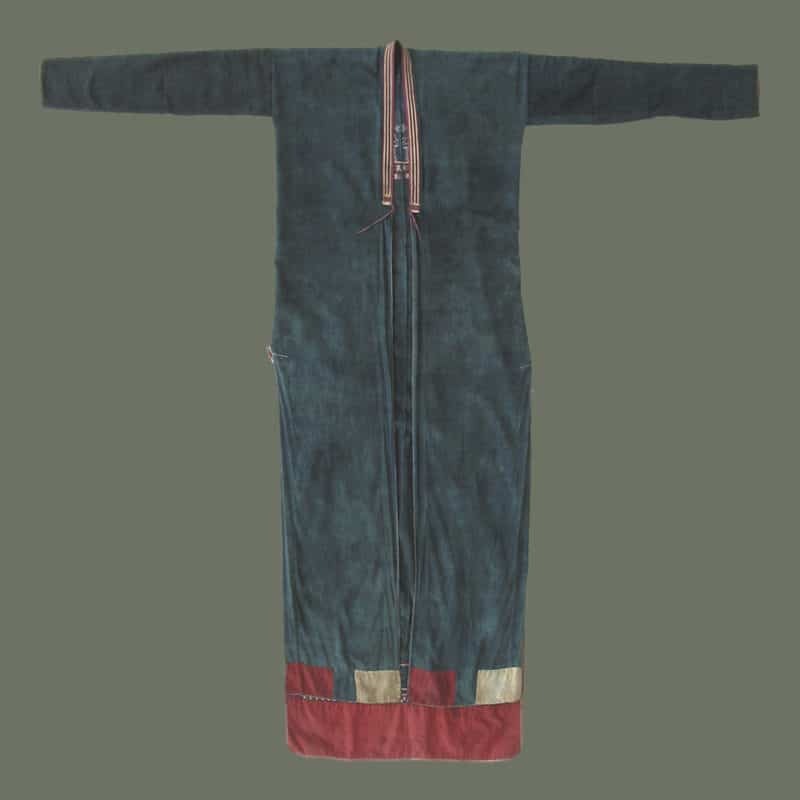 The lower panel is black sateen twill cotton with decorative panels, front and back, that include vertical strips of trade cloth sewn onto a piece of brocaded cotton. 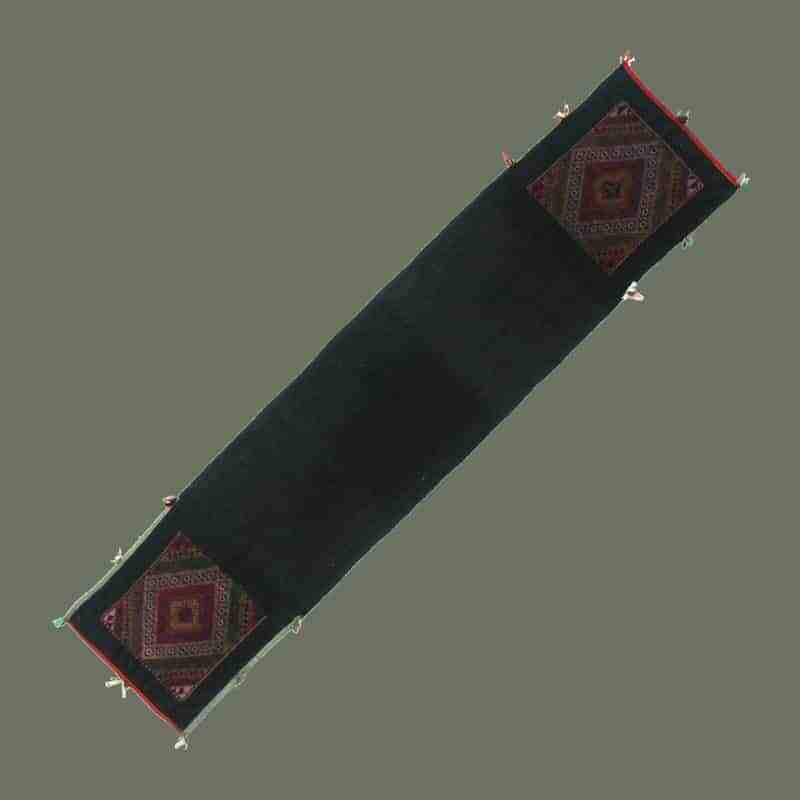 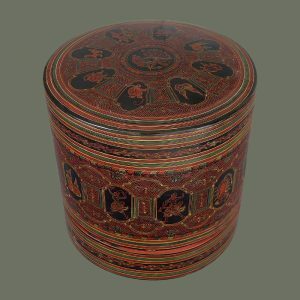 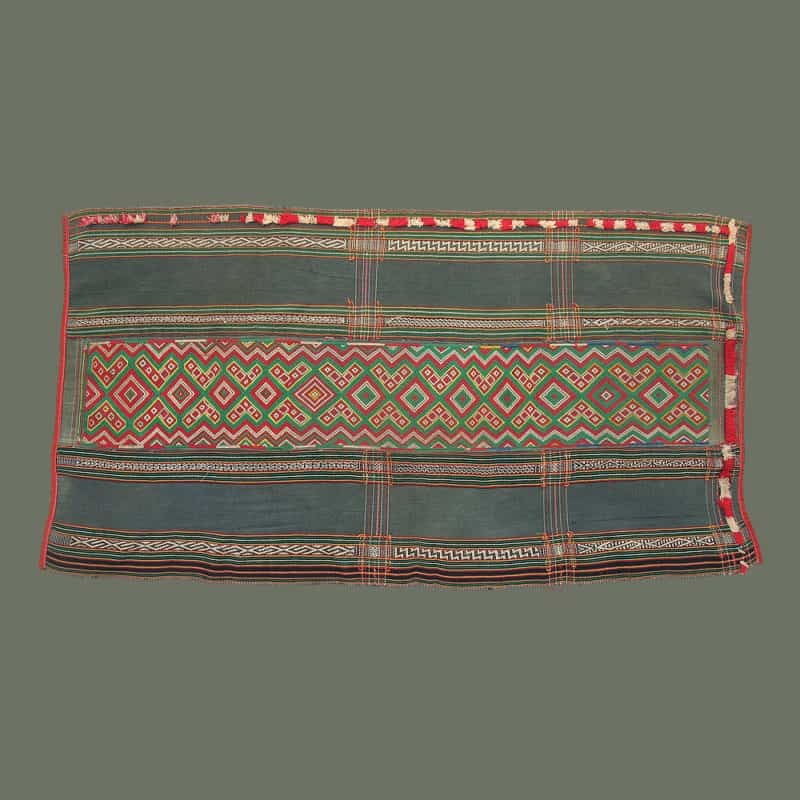 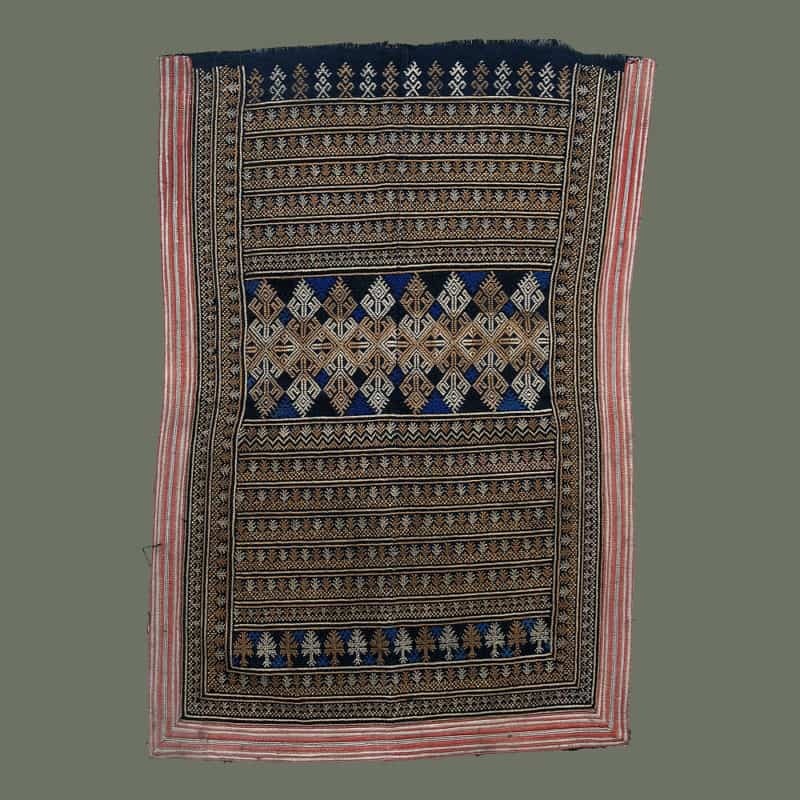 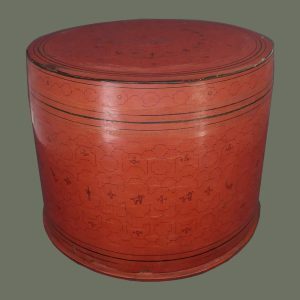 The lower edge of this panel has an embellishment of tradecloth folded in a triangular design with ribbon adornment. 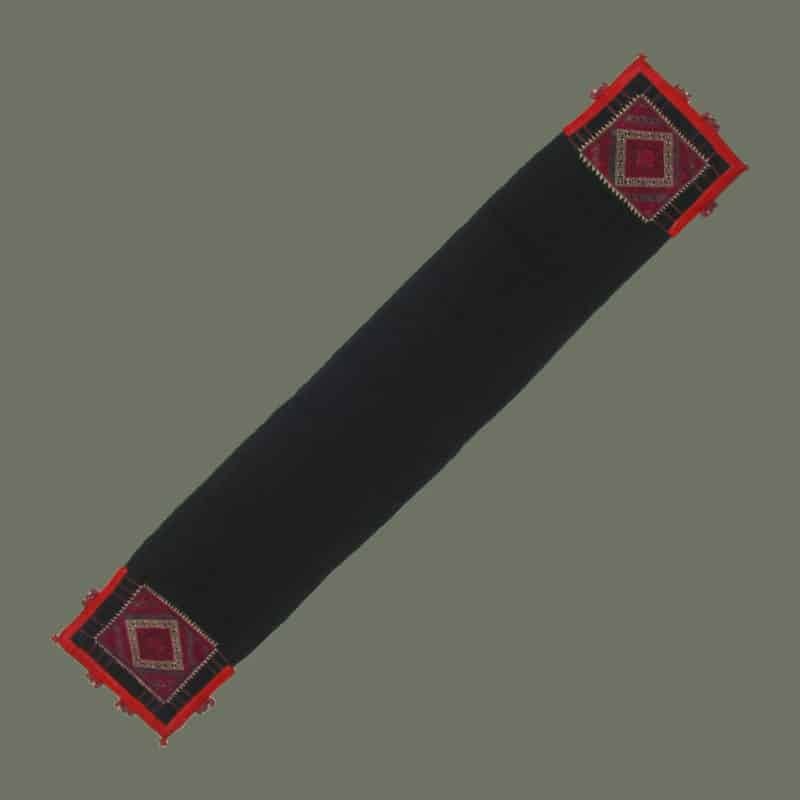 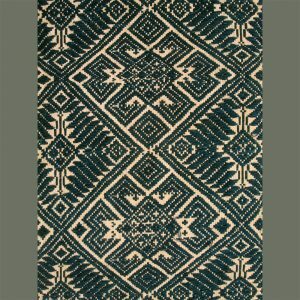 Additional fancy trim is used with tradecloth to border the lower edge. 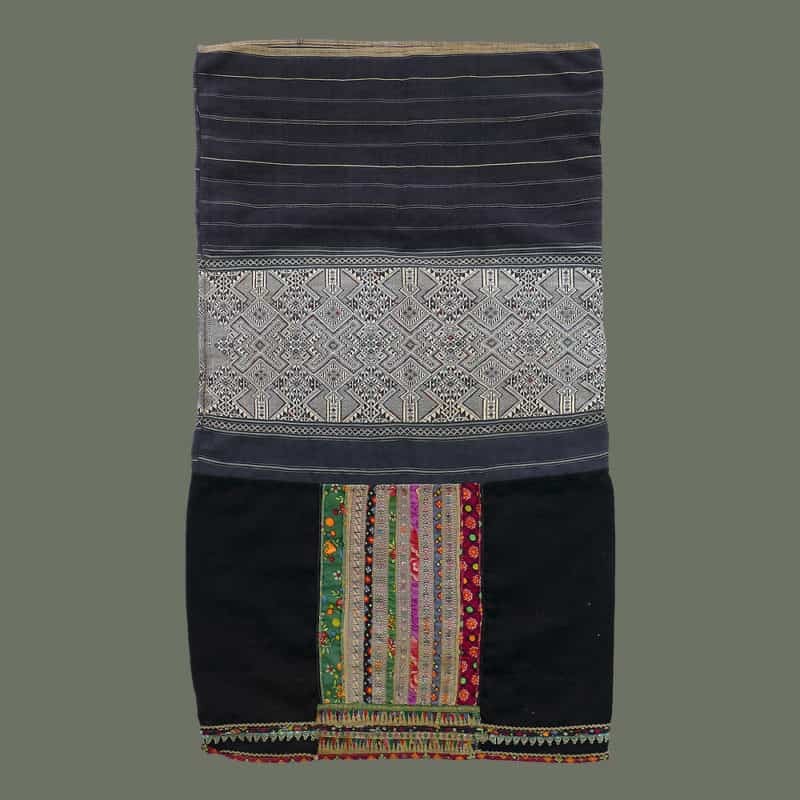 Condition is quite good for these older skirts, with only some faint discoloration on the decorative woven panel.